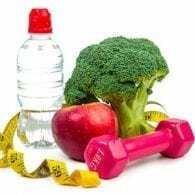 The New Year is a great time to begin working toward a new, healthier you! So what better way than to get started with a few New Years health tips from Dr. Bill Sears himself. Take these five steps to help you meet and exceed your goals this year. 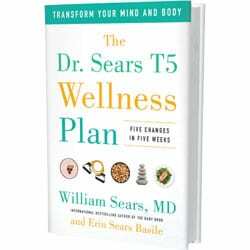 Get a copy of our newest book: Dr. Sears T5 Wellness Plan: Transform Your Mind and Body, Five Changes in Five Weeks. Co-authored with Dr. Sears Wellness Institute coach Erin Sears, this book is a healthful gift for friends, loved ones, and your coaching clients. Click here to learn more. 1. 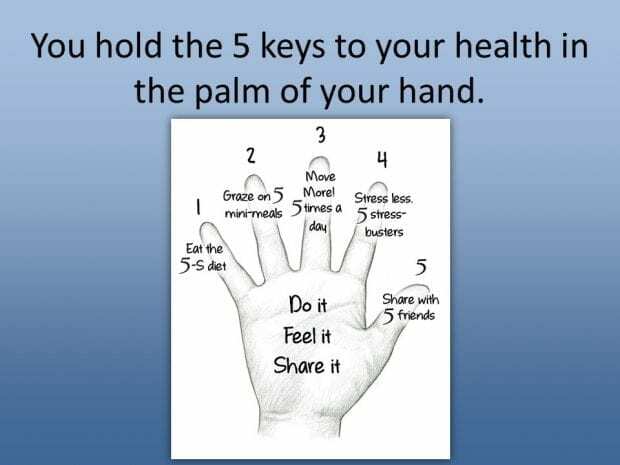 Enjoy the “5-S” Diet: Eat delicious foods that are simple to prepare and leave you feeling full and satisfied. 2. Graze on five daily mini-meals: Forget the “three squares a day” routine. The T5 approach is far more satisfying and healthier, too. 3. Move more: Five categories of exercises you can do for the rest of your life that benefit your body and your brain, too. Plenty of options here, so there’s something for everyone. 4. Stress less with five daily stressbusters: They take only a few minutes a day, so you can stay mellowed out no matter how busy you are. 5. Share T5 five times: Transforming with others reinforces your new, good habits, so recruit a team of five from your family and friends to transform you. You’ll stick to it better, and you’ll feel great about sharing something this good. This is the newest “disease” in the doctor’s dictionary. Our brains and bodies are made to move. 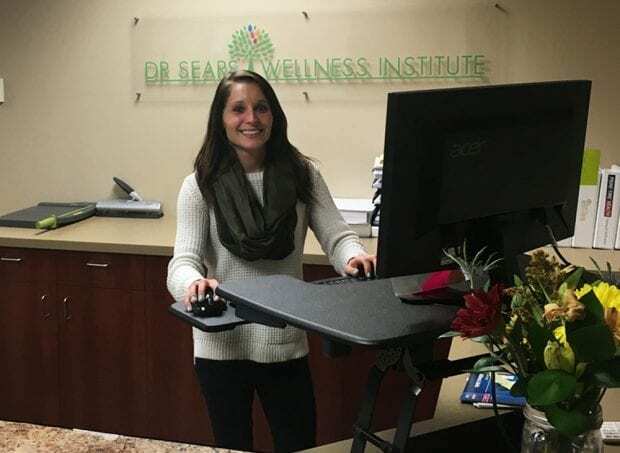 For this reason, Dr. Sears Wellness Institute, an online health coach certification program, has installed standing desks. This one simple change helps you better savor a meal, slows your fast eating (which helps digestion), and is a tool that helps you learn one of the top tips from Dr. Sears Wellness Institute: smaller bites, smaller spikes (i.e. you blunt spikes of sticky stuff that could collect in the lining of your blood vessels). Click here to view Dr. Bill and Coach Erin demonstrating how to make your own medicines, remedies for the sitting disease, and their favorite meditations that everyone can enjoy.